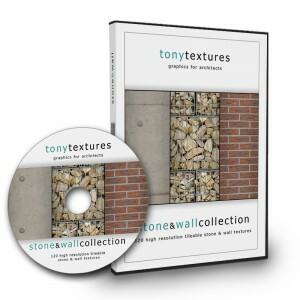 Today we proudly announce that we revised our popular Stone+Wall Texture Collection completely and that it is out now! 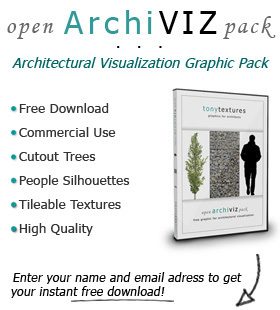 For this relaunch we set the focus on high resolution and a well assorted selection of textures – specially created for architectural visualizations. We hope you can get the max out of this extensive collection. 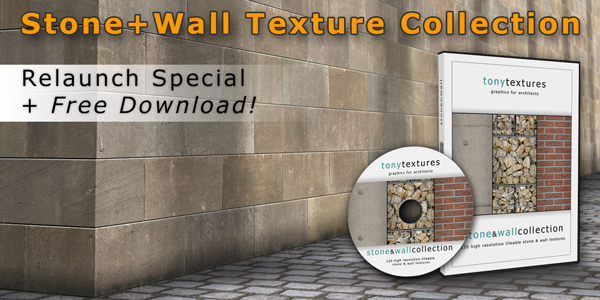 With this texture collection we provide you with high resolution textures up to 10.000 px width! These textures also cover a large area in real life of several meters – thus it will reduce the annoying pattern effect. The pattern effect occurs when a texture map will be cloned multiple times on an 3d object, but with these textures you will get very realistic results without any visible patterns. Several textures also come with a bump map that defines different heights of the material in a separate image. With the help of a bump map you will be able to create even more realistic renderings. All textures are naturally seamlessly tileable and in .JPG format for optimal compatibility to every 3D tool. 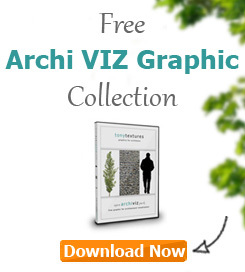 You can obviously also use the textures for DTP or other graphic projects. 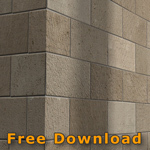 You can use this sandstone wall texture for your private AND commercial rendering and graphic projects!